Three persons are now nursing gunshot wounds about their bodies after a group of men reportedly attacked them at a wedding house in Hampshire Village, Corentyne, during the wee hours of Sunday morning. The three persons injured are Samuel Samaroo, 28, a driver/ salesman at Banks DIH (New Amsterdam), Terry Ramsammy, 17, and Nicholas Beharry, 24, all of Hampshire Village, Corentyne, Berbice. 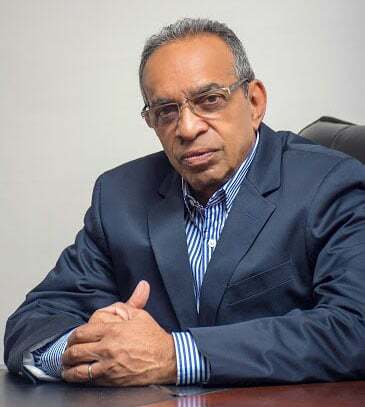 Ramsammy, who sustained four gunshots wounds, two in his abdomen and two on his arm, is presently hospitalized at the New Amsterdam Public Hospital in the ICU, while Beharry, who sustained two gunshot wounds in his back, is a patient at the same hospital. He is said to be in a stable condition. 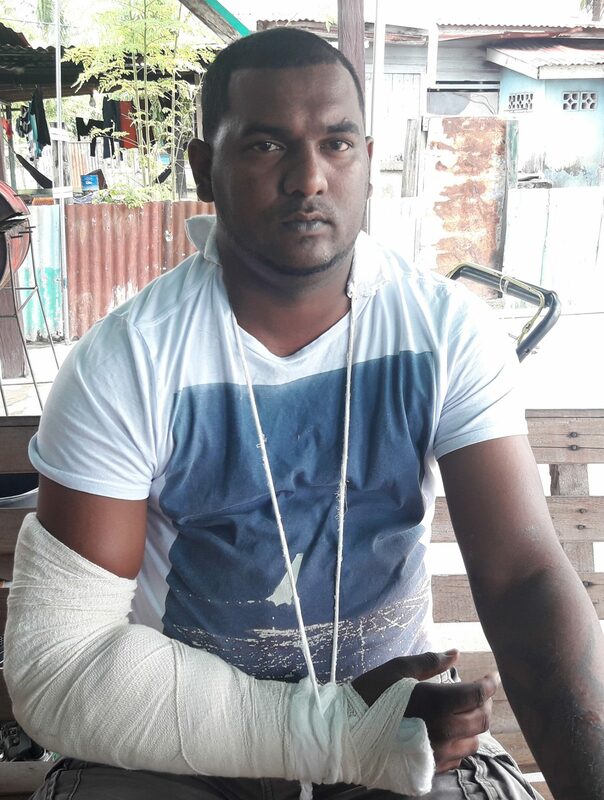 The other man, Samaroo, sustained a gunshot wound on his right arm. 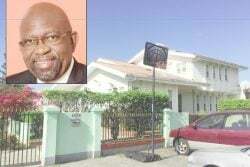 Samaroo told Stabroek News that the incident occurred at a wedding house a short distance from his home. According to him, at around 12.30 a.m. on Sunday, two vehicles came into the street and immediately turned off their lights but left their engines running. He said, he then saw two persons along with other persons exiting the vehicles. Samaroo told this newspaper that Ramsammy and Beharry were standing next to the car when the accused began arguing with other persons on the road. “I see (name given) walk up to Nicholas and Nicholas turn around and try fa run and I hear two gunshots fire and Nicholas run and fall down in the yard,” he recalled. “I deh sit down on a chair in the yard so I get up and walk out but then the man face Terry and discharge two more rounds to Terry,” he added. Samaroo explained that three persons were armed with guns but initially only one did the shooting while another just stood outside of the car. At this point he saw a third man exiting one car with a shotgun in his hand. “Me and (the accused) left pon the road and I try fuh scramble he and he shoot me in me hand and he turn the gun back against me but when he pull the trigger again the gun empty”. It was then that the men made good their escape in the waiting cars, Samaroo recalled. Police were summoned to the scene and have since launched an investigation. However, no one has been taken into custody as yet. According to a police source, police have seized one of the identified vehicles and are still on the hunt for the accused, who are known to them. Meanwhile, Stabroek News was told that there is an ongoing issue between two groups of men in the Hampshire Area. There was allegedly a previous incident about a month ago which involved Beharry’s brother and one of the attackers in Sunday’s incident. It was during this fracas that the latter reportedly sustained chop wounds. The incident, which reportedly took place at a wedding house in the Hampshire area, was never reported to the police. According to a resident in the area, the group of men retaliated on Sunday morning. 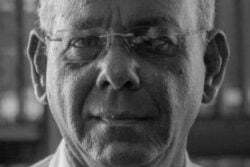 The man who asked not to be named said, “I hear them call them like and tell them that Nicholas brother was here, but when them come the brother was here, but them had to make a fight and leave”. Meanwhile, another one of the victims who spoke under anonymity explained, that the accused, who are presently on the run, have started rumours that they will “return to finish the job”. He is now concerned not only about his own safety but that of his relatives as well. He is pleading with the police to place the accused under arrest quickly, in order to ensure that no one else is injured in this supposed turf war.